At Johnson & Johnson, we always remain true to our roots as an innovative start-up established in 1886. Through the decades, we contributed to the evolution of science and technology – from pioneering the development of sterile surgery at the turn of the 20th century to current research on a differentiated robotic-assisted surgery platform in orthopaedics, and to developing the first HIV vaccine. We are confident that in today’s rapidly changing healthcare landscape, Johnson & Johnson is uniquely positioned to lead the next frontier in medical innovation, intersecting the worlds of health and technology. Our approach is guided by a robust health technology strategy focused on building a flexible, secure digital business, developing smart products, and creating new models of engagement with our patients and consumers. Because we always put people first, we start by understanding the unique needs of individuals and then apply our broad-based expertise – behavior science, design-thinking and consumer insights – to uncover how the latest technological advancements can change human health for the better. 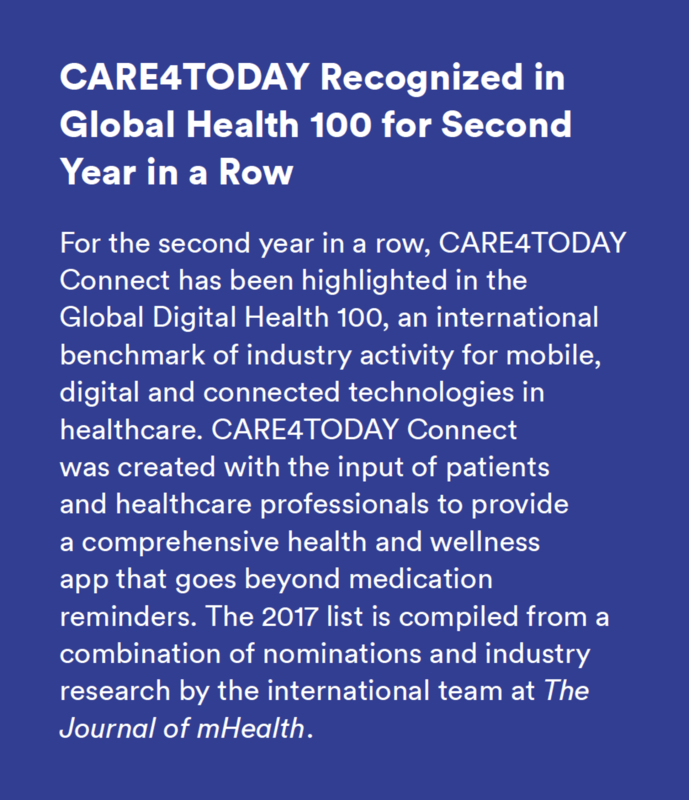 In recognition of our efforts in health tech, for the second year in a row Janssen Healthcare Innovation has been highlighted in the Global Digital Health 100, an international benchmark of industry activity for mobile, digital and connected technologies in healthcare. 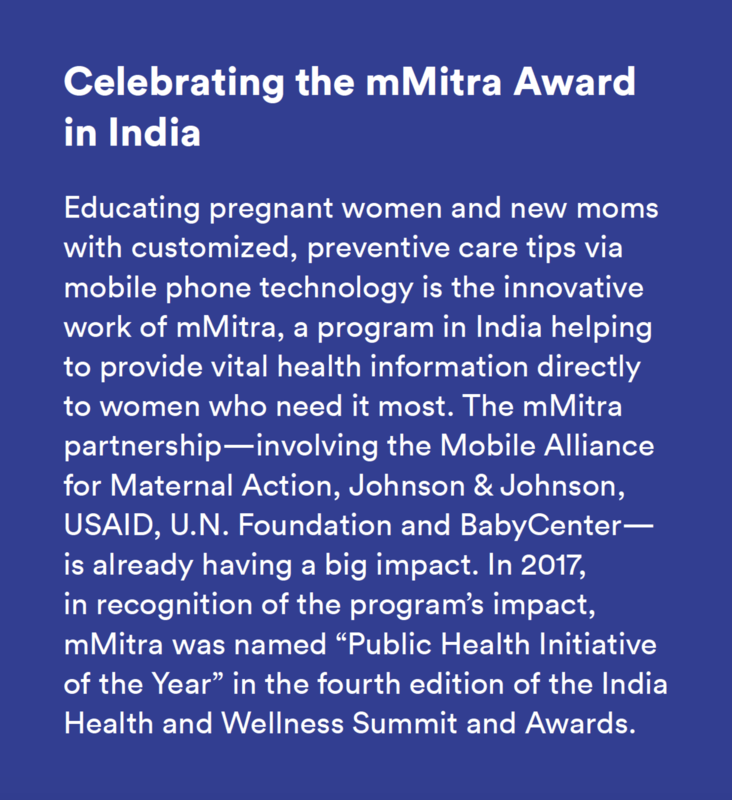 The 2017 list is compiled from a combination of nominations and industry research by the international team at The Journal of mHealth. Leveraging our expertise in behavioral science, we are helping people take care of themselves better. In development throughout 2017, and unveiled in early 2018, our NEUTROGENA SKIN360 app and the accompanying SkinScanner powered by FITSKIN will help democratize dermatology for consumers. The dermatologist-grade at-home skin analysis tool, which attaches to one’s smartphone, scans the skin, and data is then fed into the application. The app leverages NEUTROGENA’s wealth of scientific research and expertise to give users an in-depth understanding of their skin’s condition and needs, and customized advice to address those needs, plus a clear way to track and assess skin’s progress over time. We are working to completely re-imagine surgery along every step of the process, from training surgeons using virtual and augmented reality to 3D printing technology that delivers personalized implants and instruments. We’re also using digital tools to support and empower patients, such as the Health Partner digital platform. Launched in 2017, the platform helps patients prepare physically, mentally and emotionally for surgery. Health Partner also connects them with their healthcare team to help ensure customized, real-time care. Using predictive analytics, the platform learns with the user over time, and provides personalized patient care that adapts according to each patient’s changing needs and behaviors. Technology has changed the process of drug discovery and clinical trials. Computational power, visual image processing, machine learning and artificial intelligence (AI) have transformed our R&D process. Technology is leading us into an era of personalized medicine, and has been integral to the breakthroughs our Company has made in the last 10 years in areas that include oncology, immunology, infectious disease and the microbiome. As an example, our rHealth cloud-based platform for large-scale data analytics enables us to accelerate treatment evaluations and improve the precision of clinical trials. We are also working to develop Janssen iSTEP, an integrated technology platform that aims to transform clinical trial medication and data management, and enable end-to-end patient engagement. For more details on this program, visit Patient-Centered Care. In our Johnson & Johnson Vision business, part of Medical Devices, we’re doing exciting work on a next-generation contact lens. By collecting insights from consumers around the world, the team learned that people were struggling with discomfort from bothersome light. Looking to address this unmet need, the team made progress in 2017 on developing contact lenses to do more than just correct their sight—they also help manage a range of everyday lighting situations, from artificial light to ultraviolet rays. These novel contact lenses are being developed to adapt automatically to help consumers balance the amount of light entering the eye. The best innovation happens when we move beyond our traditional thinking and embrace uncharted territory. It is an exciting time for scientific advancements and for the endless potential of technology to advance every aspect of health and wellbeing. However, we fully recognize we can’t do it alone. Our Company welcomes the opportunity to connect and collaborate with technology partners across the ecosystem to find innovative and meaningful solutions that improve the lives of patients and consumers and empower those on the front lines of healthcare. Joining Apple, Fitbit, Samsung and other innovators in the medical device and technology segments, Johnson & Johnson was one of nine companies – from 100+ applicants – selected in 2017 by the U.S. Food and Drug Administration (FDA) for a first-of-its-kind digital health pilot project aimed at revolutionizing digital health regulations in the country. Our insights will contribute to FDA’s vision for fostering digital health innovation and the agency’s early steps toward a digital health technology pre-certification program. Additionally, we partnered with Rest Devices, Inc. to build NOD, the smart parenting coaching platform that combines evidence-based sleep coaching techniques, developed by the world’s leading pediatric sleep specialists, with the largest pediatric sleep data set. NOD is AI-powered by advanced machine learning and a deep neural network. By combining expert coaching and analytics through a mobile-based application, this program provides parents with an advanced sleep coaching system that gets babies to sleep better. The product has already proven to reduce night wakings significantly and increase overall sleep on a per-night basis. * Technology partnerships are inclusive of partnerships, investments or acquisitions. Within this definition, health technology partnerships are collaborations between Johnson & Johnson and a technology company, e.g., to co-create a product, but do not involve an investment or acquisition.